Adams RM: Occupational Skin Disease, 3rd ed. Philadelphia, WB Saunders, 1999. Ali I, Dawber R: Hirsutism: Diagnosis and management. Hosp Med 65:293, 2004. Aly R, Maibach HI: Atlas of Infections of the Skin. New York, Churchill Livingstone, 1999. Callen JP, Paller AS, Greer KE, et al: Color Atlas of Dermatology, 2nd ed. Philadelphia, WB Saunders, 2000. DevCan: Probability of developing or dying of cancer software, version 5.1. Statistical Research and Applications Branch, National Cancer Institute, 2003. 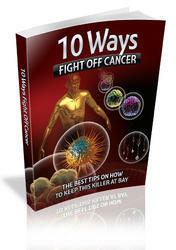 Available at http://srab.cancer.gov/devcan; accessed June 6, 2008. Fawcett RS, Linford S, Stulberg DL: Nail abnormalities: Clues to systemic disease. Am Fam Physician 69:1417, 2004. Freedberg IM, Eisen AZ, Wolff K, et al (eds): Fitzpatrick's Dermatology in General Medicine, 5th ed. New York, McGraw-Hill, 1999. Friedman-Kien AE, Cockerell CJ: Color Atlas of AIDS, 2nd ed. Philadelphia, WB Saunders, 1996. Habif TP: Clinical Dermatology: A Color Guide to Diagnosis and Therapy, 4th ed. Philadelphia, Mosby, 2004. Hordinsky MK, Sawaya ME, Scher RK: Atlas of Hair and Nails. Philadelphia, Churchill Livingstone, 2000. Jemel A, Tiwari R, Murray T, et al: Cancer Statistics, 2004. CA Cancer J Clin 54:8, 2004. Jordan RE: Atlas of Bullous Disease. New York, Churchill Livingstone, 2000. Lebwohl MG: Atlas of the Skin and Systemic Disease. New York, Churchill Livingstone, 1995. Mandell GL, Fekety R (eds): Atlas of Infectious Diseases, vol 8: External Manifestations of Systemic Infections. Philadelphia, Churchill Livingstone, 1997. Mandell GL, Mildvan D (eds): Atlas of Infectious Diseases, vol 1: AIDS, 2nd ed. Philadelphia, Churchill Livingstone, 1997. Nadelman RB, Wormer GP: Lyme borreliosis. Lancet 352:557, 1998. Safai B, Johnson KG, Myskowski PL, et al: The natural history of Kaposi's sarcoma in the acquired immunodeficiency syndrome. Ann Intern Med 103:744, 1985. Stone DR, Gorbach SL: Atlas of Infectious Diseases. Philadelphia, WB Saunders, 2000.